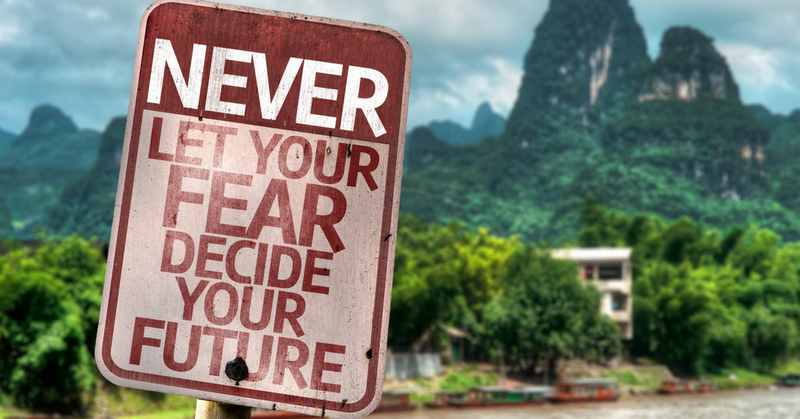 Does fear stall you? Do you find yourself worrying — fearing — what will happen if you try to live a purposeful, dream life? Are you wishing that you could change how you are? That you could overcome your fears? That you could have the life you want, “if only …? ” Do you want to overcome fear? In this short video, Dr. Michael J. Duckett reveals a simple, yet powerful technique and mind work process that allows you to reprogram your mind, overcome fear, and move forward to create a great life. The process is so simple, yet there is a powerful science behind it. That science recognizes that, when the mind is fearful, it sends all sorts of jumbled electronic impulses throughout the brain. Those impulses cause us to stall, cause us to not move forward, and cause us to miss thinking about the good and positive things we could have in our life, because we’re so worried about and focused on … FEAR! How do we overcome that fear, that stalling? Dr. Duckett says, simply, ask “What if this fear actually happens?” Go through the results of “What if … ?” THEN, (and here is the key), write it down. Then think of the next fear, and write down “What if that fear happened …?” And on and on and on. The result, Dr. Duckett says, is that our brain will reprogram away our fears (because they aren’t real), and allow us to think positively, think about the possible “What if…?” in a purposeful, joyful way. If you find yourself stuck because of fear, if you want to vanquish that fear and move forward in a powerful, meaningful way, if you want to upgrade your life, then watch this video and follow the simple tip Dr. Duckett suggests. Then, if you want to really control and wipe out fear in your life, and replace it with something much better, a much more positive, upgraded life, just download and take his short Overcoming Fear Home Study Course.